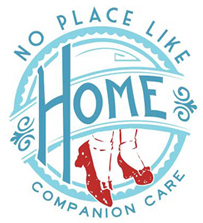 At No Place Like Home Companion Care, it our mission improve people's lives, and relieve the stress of caregiving. It is our purpose to provide the highest quality of caregiving with compassion, kindness, and individual pride while allowing seniors to stay at home with flexibility and independence. As a locally and independently owned and operated business, each member of our team works and plays in the community we support. We value the importance of community inclusion and engagement, as well as showing empathy and the utmost patience for your loved one. We offer more than just senior care, we offer seniors the support they need to stay at home for as long as they can. Helping seniors stay where they are happiest ... at home. Jessica Johnson is first and most importantly a loving mother and wife. 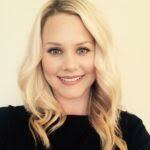 Secondly, Jessica is the proud owner and founder of No Place Like Home Companion Care in Clarington, Ontario. She and her team provide assistance to seniors with the activities of daily living to ensure they have the quality of life they deserve at home and in the community. She values the importance of community inclusion and engagement, as well as building positive and meaningful experiences. It is her goal to keep seniors where they are happiest with flexibility, independence, and individual pride.